Have you heard (or read) the news? 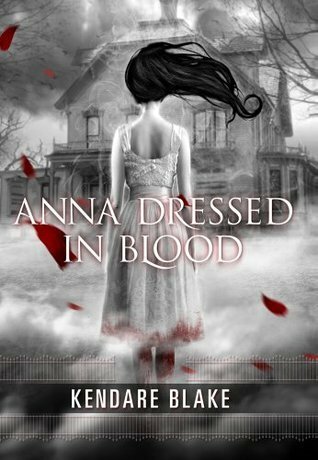 Anna Dressed in Blood is jumping in the bandwagon and is about to become a movie, too! If you haven't heard of the book, here's a little something to help. April has been a busy month for me and my personal life. That is why I haven't blogged as much as I used to like the past two months. I also haven't bought any book this month. But thankfully, Harper Collins sent me three ARCs that I can feature in this month's Stacking the Shelves post. Thank you, HC Int'l! I know I am a week late with the announcement, but it doesn't matter. 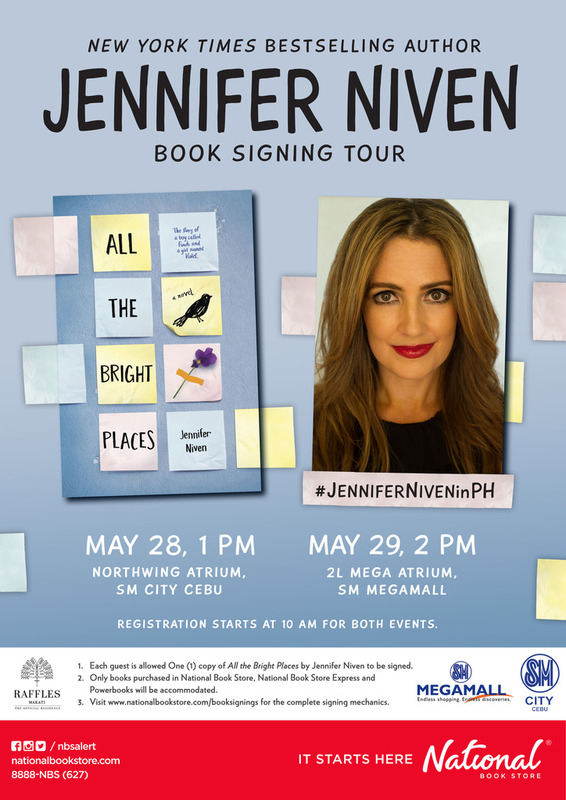 It does not change the fact that Jennifer Niven, author of All the Bright Places, is coming to the Philippines this May. So get your books and camping gears ready, as we prepare for another book signing event. When: May 28, 2016, 1 p.m. When: May 29, 2016, 2 p.m. 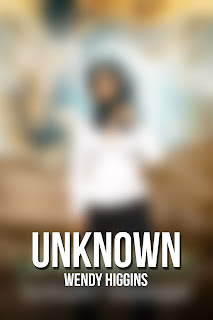 But if you're too lazy to click and wait for another page to load, just read on. 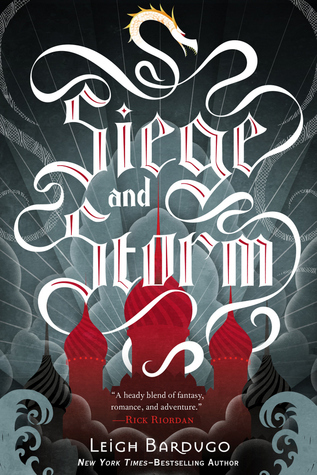 Honestly, I don't know how to start organizing my thoughts and feelings regarding the second book of The Grisha trilogy. Although I sort of figured out its widespread appeal to people who loved it so much, I am still not at awe with the books. So, if this review seems kind of all over the place, I apologize in advance. 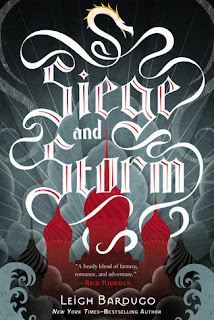 If you have read my review for Shadow and Bone (the first book of the trilogy), you would know that I am not as happy as I thought I would be during and after reading it. Maybe it's just not the book for me. I don't actually hate it, because I really did enjoy some parts. I just didn't like it as much as most of the readers did. 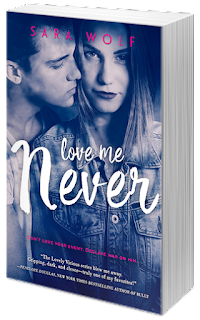 When I first heard of Sara Wolf's Lovely Vicious trilogy, I knew I had to read it. Despite the "cliche-ness" of the plot based from the blurb, I still want to read about a spunky female lead who somewhat hates (and is at war with) the most popular boy in school. There's just something about their "cat and mouse" sort of relationship that's exciting to read. And we kinda know how this will end, don't we? Young adult science fiction (or sci-fi in general) is not something I would usually "go to" and read. Stories about the universe, aliens, space travel, or intergalactic politics and relations is not something I like to read about a lot, and I don't normally enjoy them. 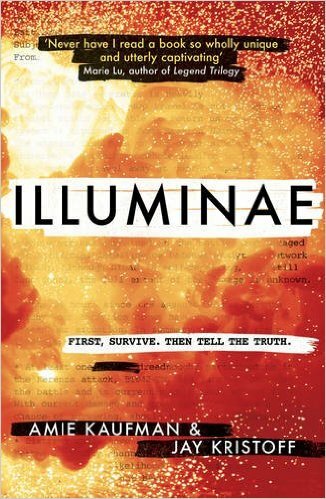 So despite my extreme desire to buy Illuminae, I still had hesitations. Also, I do not know if the story will live up to the book's physical awesomeness. I had a fleeting thought in the back of my head that people liked it only because of the book's unique and cool appearance, and that the story is presented in a different way, not because the story was that great and impactful. But thankfully, I was wrong. Illuminae is aesthetically pleasing and very entertaining. Not only does it look so good both inside and out, but the story is quite impressive as well. 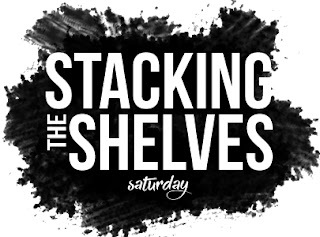 This March, I feel like I have purchased quite a number of books, even though I know it's not a lot compared to some people's monthly book hauls. It has been a long time since I bought more than two books in one month. The cause of this impulsive book buying is the extremely low price of some great hardback titles in the bookstore. Honestly, I only wanted to get Lady Midnight because that was the only book I really saved up for. But the other books were so tempting, and when I looked at the prices, I know I just had to grab them and go (after paying, of course).